Tokina has today introduced a new prime lens that is specifically designed for Sony E-mount mirrorless full-frame cameras. The 20mm F2.0 FE MF is the first lens in the new FiRIN mirroless lens series and combines a fast aperture with a wide angle of view and manual focus. The lens comes with a wide focus ring for easy manual focusing and the aperture ring can be “clicked” for stills photography and “de-clicked” for smoother operation when shooting video. Electronic contacts allow for communication with the camera. The lens will officially be unveiled at the Photokina trade show in Cologne, Germany, next week. We expect more information on pricing and availability to be released then as well. 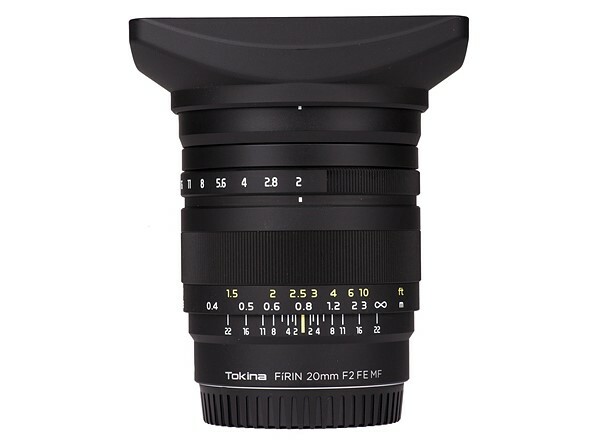 HUNTINGTON BEACH, Calif., Sept. 13, 2016 /PRNewswire/ — Tokina USA introduces the fast aperture, full-frame 20mm F/2.0 FE MF prime camera lens. This lens marks the initial offering of FiRIN, a new mirrorless lens series. This new lens series from Tokina is designed for a photography market that is rapidly adopting mirrorless camera systems as a standard. The FiRIN 20mm f/2.0 lens is a bright, wide-angle lens that is compatible with Sony E-Mount cameras. The FiRIN 20mm f/2.0 features a wide focus ring for smooth manual control, an aperture ring that can be “clicked” and “de-clicked” on demand for cinema and photo use, and electronic contacts for maximum communication with the camera. The lens will be unveiled at Photokina 2016 in Cologne, Germany. The Kenko Tokina booth is located in Hall 5.2, stand C020.